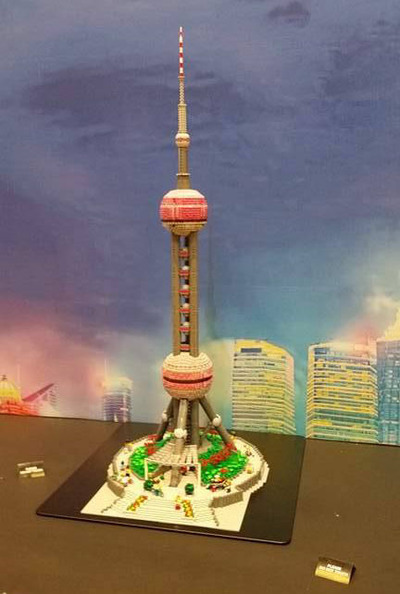 Brickman 'Wonders of the World’ LEGO® exhibition at Melbourne Museum is now open, and is a must-see for everyone. 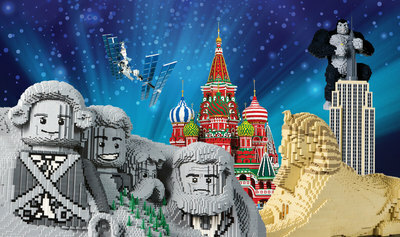 This is the largest exhibition of it's kind; a display made entirely out of LEGO bricks, to represent the world's most magnificent masterpieces. 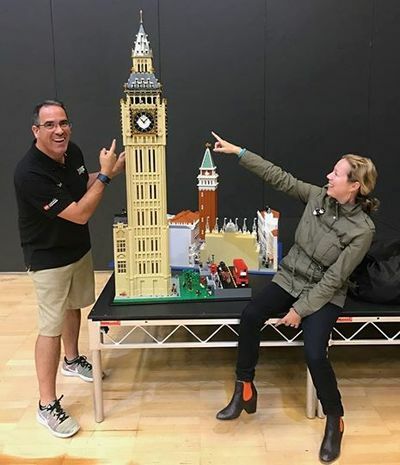 Brickman 'Wonders of the World’ is 12 months in the making, taking Ryan 'The Brickman' McNaught (Australia's only LEGO® Certified Professional, and one of only 14 in the world) and his team of seven, over 5000 hours to build. What's short for Wonders of the World? WOW... and that's exactly what this exhibition is. There are 50 models to admire from the Great Barrier Reef to the Empire State Building, the Crown Jewels to Mona Lisa, Stone Henge to the Arc De Triomphe, the Great Wall of China to the Titanic, split in half, sinking into the sea! Each magnificent model is a marvel to see, taking hours upon hours to build and, and so I'm told, plenty of Google mapping! This isn't actually the first time Brickman 'Wonders of the World' has been exposed to the public, having first opened in Brisbane, before moving onto Sydney and now Melbourne. Moving such an intricate exhibition is by no means an easy feat! Each LEGO® landmark has it's very own modified crate to manoeuvre from one city to the next. Can you imagine setting up something like this? Incredible. Do spend your time exploring each world masterpiece, you'll notice some funny little extras to match each subject, and some random pieces that you won't expect at all. Top Gear references, a Dalek, Sherlock Holmes, and Guy Fawkes around Big Ben. 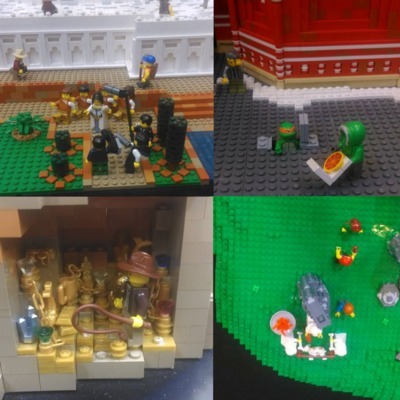 While you're having a nose at what's going on with the Minifigs placed around 'Wonders of the World', do keep an out out for Eddie the Explorer! A number of Eddies have been placed at random locations around the exhibition, and it's your job to find all of them, that is if you want to enter the online competition to go into a prize draw. Lastly, the hands-on stuff is a hit with the young folk. 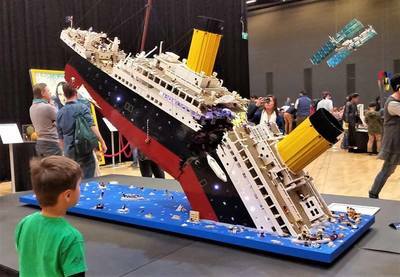 Around some of the larger masterpieces, you'll find a sunken troughs filled with a tonne of bricks ready for your kids to replicate what is in front of them. 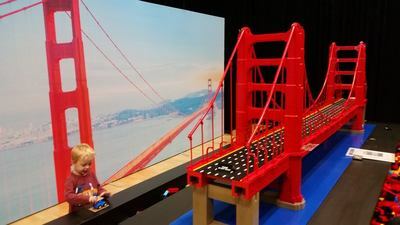 From wheeled vehicles to race down a track, to building your own pyramid, constructing a statue inspired by Michelangelo’s Statue of David, to a duplo car to push along the roads of the San Francisco's Golden Gate Bridge, there's a lot of building to do. Although the exhibition itself may not seem huge as you walk in, there is more than enough to keep children busy. 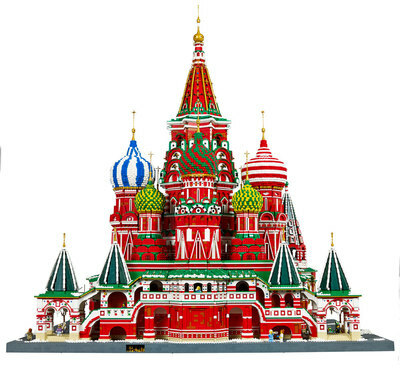 You are looking at around 2 - 2 1/2 hours, possibly more time if your kids love to build, to get the most out of the 'Wonders of the World'. 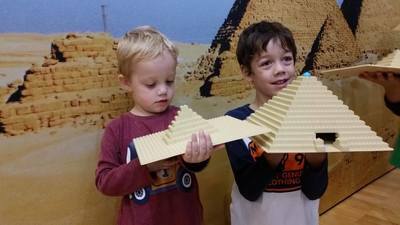 Brickman 'Wonders of the World' at Melbourne Museum is open now, just in time for the Easter School Holidays, and finishes up on 7 May, 2017. Have you booked your tickets yet? Make sure you do.